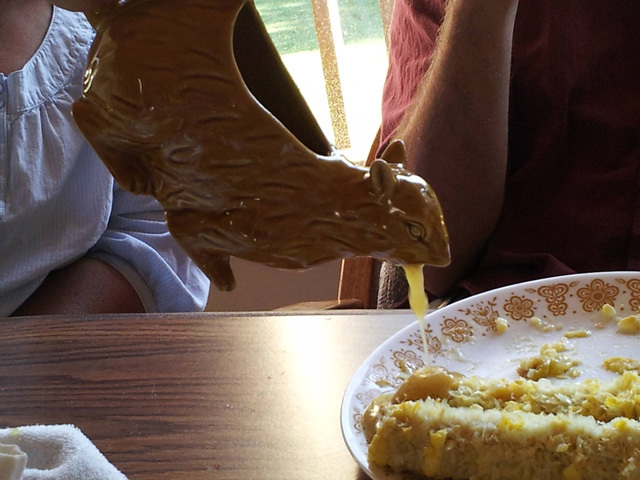 Over at reddit, lrhills recently posted a photo of a barfing squirrel gravy boat. This awesome ceramic gravy boat would make a fine addition to most anyone’s Thanksgiving table (unfortunately, I was unable to find a place to buy it). In my search for info, I dug up additional photos of it which were all taken by Michael Tyznik. It looks like you simply fill it with gravy, hold it by its tail and let the gravy barf flow onto your meal.